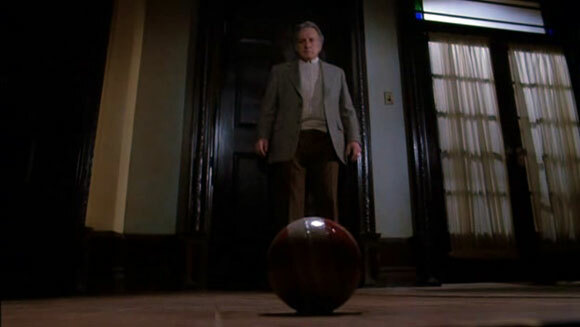 The Changeling is a slow and ponderous movie, featuring a rather leaden central performance from George C. Scott and absolutely no overt horror sequences. However, the film is an impressively chilling and atmospheric haunted house movie, with elements of Richard Matheson’s A Stir of Echoes spliced into the mix and some fascinating cinematography from Witchfinder General DOP, Jon Coquillon. English-Hungarian director Peter Medak (The Ruling Class, The Krays) veers away from his standard blackly comic fare to deliver a brooding, chilly and utterly po-faced entry into the horror canon. Scott plays John Russell, a musician who has just lost his wife and daughter in a tragic road accident. Returning to his alma mater in Seattle, to teach advanced musical composition, he is leased a sprawling, palatial property by the local Historical Society. Russell strikes up a friendship with the Historical Society associate Claire Norman (Trish Van Devere, Scott’s real-life wife) who is dealing with this property. Before long strange occurrences are alerting Russell to a potentially malevolent presence in the house, that brings Claire and himself directly in contact with the spirits of a century old mystery. 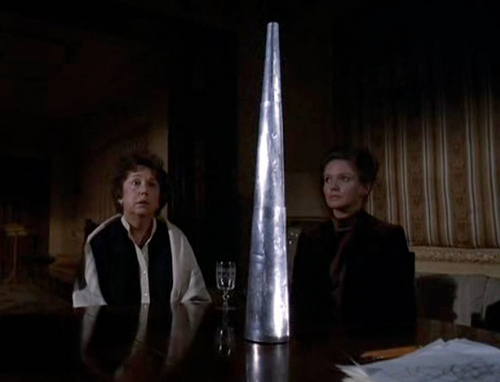 Remembering that the end of the seventies had seen a real growth in supernatural horror, it is understandable how The Changeling may have been ignored in favour of the more hysterically terrifying pyrotechnics of The Omen and Amityville movies. There is little in the film that immediately grabs your attention. Yet once Medak and Coquillon have mapped out the external landscape of Seattle (including some excellent establishing shots of the strange geometry of the city’s architectural landmarks) and the internal layout of Russell’s leased property, the film creates an understated atmosphere of dread and foreboding that is unlike almost any other post-seventies horror movie, with the possible exception of The Blair Witch Project. What Medak seems to intuitively understand of the genre is that less is invariably more. 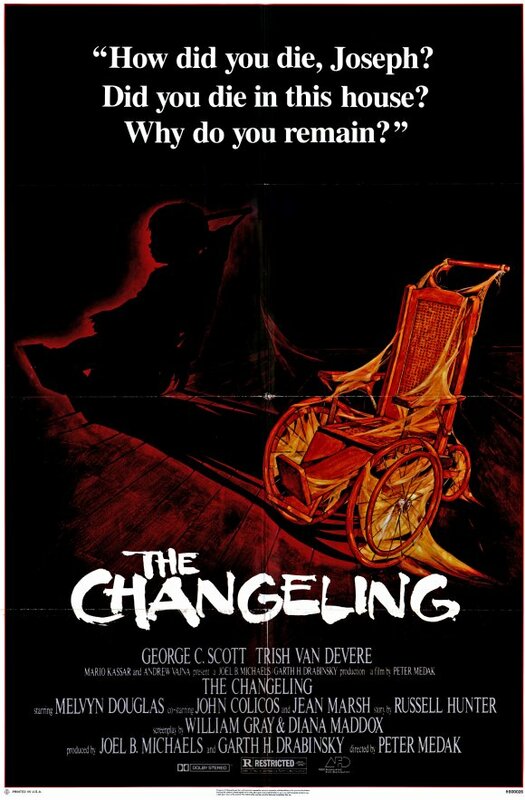 As a result, The Changeling is one of the leanest horror movies ever made, with only really the denouement reaching out for the kind of outlandish bombast beloved by the aforementioned films. Another impressive judgement call on Medak’s part is to do with the amount of information the audience is given throughout the film. Again Medak resists literality, often skipping over pieces of narrative explication so as to enhance the ‘weird’ tension in the film. Scott, one of the great physical performers of the sixties and seventies, is taut, restrained and prickly. It’s a performance that superficially seems ill-conceived and lifeless, as if Scott was simply collecting a pay-cheque. However, the manner in which he closed down the role of John Russell, suggests hidden reservoirs of grief and guilt, that makes the character a second haunted site within the film. The way that Medak sets about confidently exploring the horror genre can be evidenced most clearly in the cinematography of Jon Coquillon. This Dutch DOP had a track record of capturing moments of cinematic terror in films like Witchfinder General, Curse of the Crimson Altar and Straw Dogs. Under Medak’s direction Coquillon uses his entire arsenal of cinematographic tricks to turn the interior space of the house into an imposing, threatening and utterly claustrophobic experience of dread. Utilising long, smooth, seemingly POV (but whose point of view is the troubling question here?) tracking shots, Coquillon lays out the schemata of the property as if it were being excavated from memory. It gives the film much of the feel of Kubrick’s The Shining, which would be released later in the same year. Aside from these impressive mobile camera sequences, the use of extremely high-angled shots throughout the movie, as if suggesting the presence of things, unseen, in the nooks and crannies of the property, imbue almost every internal scene with a sense of intense anxiety and paranoia. Even when Russell and Norman are out and about in Seattle, Medak and Coquillon frequently resort to the use of the same vertiginous establishing shots, only in these external settings the camera position tends to be reversed, with extremely low-angled shots craning upward, placing the actors within a landscape of imposing structures. So much of the film is, in this way, carefully constructed to point up the extreme insularity and remoteness of Russell’s bereaved husband and father. Doesn't daddy want to come and play ball? The use of darkness and shadow is also exemplary in The Changeling. Russell’s initial forays into new, hidden, parts of the property, are often framed within darkness, with only glimmers of light creeping through from obscure sources in the shot. Medak’s mis-en-scene suggests a man groping around in the dark spaces for answers to terrible, unspoken questions. 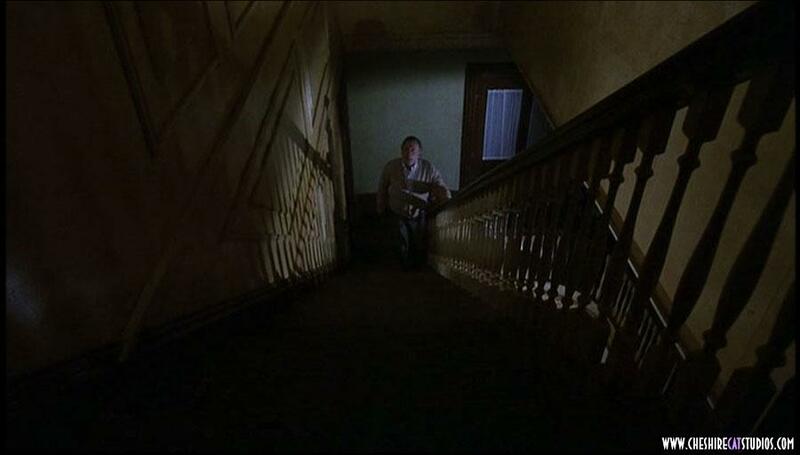 A sequence late on in the film in which Russell convinces a woman that her daughter’s room is built above a grave is eerily captured from above, detailing a gaping black hole in the centre of the room, out of which some light may finally be cast upon the mystery at the heart of the movie. The suggestiveness of language and story is also displayed to full effect by Medak, as frequently the horrors of the film are spoken about, before they are ever actually seen, if they are even seen at all. This is an identical technique to that used in The Blair Witch Project, where story and conversation plant the seeds of the terrifying bounty, that is harvested late on. I'm guessing this would be labelled 'conceptual' art. As with all movies of this ilk The Changeling has its silly sequences and plot implausibilities (the wheelchair pursuit close to the end of the film, or the manner in which the house can kill some people, but not those who would bring about a resolution to the haunting), but most of these are kept to the periphery of the movie’s action by Medak’s complete investment in atmosphere and suggestion. Whereas in most haunted house movies there is the nagging question as to why the inhabitants don’t just cut their losses and move on, in The Changeling Russell has no financial commitment to the property and should be even freer to move away when the house begins to reveal some of its more disturbing peculiarities, yet there is a perfect logic to why this character may feel compelled to linger on and explore the dark corners of the house. In Russell, Medak has a character who has been deeply wounded and although these wounds may now have begun to heal, scar tissue has been left behind that he cannot help but pick away at. Just as this character is immersed in external horrors as a means of reconciling his inner grief, so the audience undoubtedly becomes ensnared in one of the most fully realised portrayals of supernatural terror ever brought to the cinema screen. The atmosphere of this film is so intensely rendered by Medak and his DOP Coquillon that it barely matters that the pacing of the movie is often glacial. George C. Scott, even when not at the top of his game, is still a formidable screen presence and this odd performance grows increasingly compelling as the extent of his character’s grief seeps off of the screen. This is a horror movie that absolutely refuse to literalise its material, demanding that the audience do some work to connect the disparate plot elements. Some hokey moments that would undermine lesser horror movies. Plot details that occasionally refuse to add up, such as when does Russell actually do his teaching? The slow pacing and general sense of inertia in the opening thirty minutes might put some people off. Enter your E-Mail address to become an E-Mail subscriber to Apercu: Cinephilia.